In today’s ever-changing, multi-channel landscape, marketers need to quickly gather and visualize all their data in order to gain new insights. Data Studio helps marketers turn their raw data into informative, easy-to-read and easy-to-share reports—leading you to insights that can help drive businesses forward. Today, we’re launching three new features that make it easier for marketers to tell compelling data stories and make better, more informed business decisions. Here’s a look at the three additions. Get insights from your data faster—no coding required. Explorer eliminates the time-consuming work of combing through large amounts of data to find the insights you need. And with Data Studio’s one-click integration with BigQuery, it’s especially easy for businesses to find the insight they need. That speeds up the analyst workflow and opens up querying to non-technical users. Imagine you’re an enterprise business that wants to analyze and visualize information from multiple accounts across its organization. 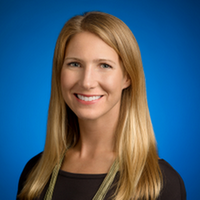 That could be data from Google Ads, from other products in Google Marketing Platform, or from other media providers. How do you get all this information into a single chart with the least amount of work? By using Data Blending, which lets you bring multiple data sources together to analyze and visualize right in Data Studio. Soon, you’ll also be able to add additional fields to create new calculations from the blended data. All this lets you tell your complete data story with an interactive, compelling chart that’s easy to create. 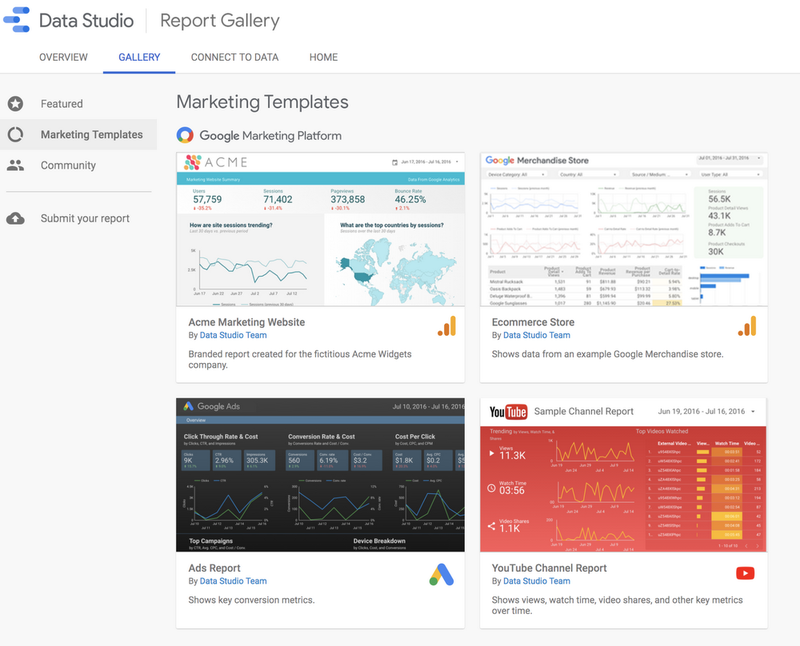 The new Google Marketing Platform Report Gallery has a series of report templates that help you quickly create consolidated and informative reports using data from any of Google Marketing Platform’s products. Use a report template and customize it to capture exactly what you need, all in a few minutes. This new feature was designed to help businesses avoid inefficiencies that can come from collecting data, and lets them get actionable insights quickly to share with their teams. With these powerful new features launched and ready to go, you can start turning data into compelling visual insights right away. Create your first report today and start to create a fuller picture of your digital marketing strategy.